Trees are woven into the fabric of our lives. When we plant a tree we hope it will live and be healthy for many years - perhaps even beyond our lifetime. But, with climate change, pests and diseases threatening our woodlands which tree species are best equipped to thrive and stand the test of time? Sylva Foundation has planted a new "Future Forest" at its Wood Centre in Oxfordshire to help find out. What is the Future Forest? There are also coppice areas planted with hazel, sweet chestnut and robinia. These shorter trees will produce wood that can be used within five years for products such as walking sticks, hurdles, pea sticks, fencing stakes. By becoming a Friend of the Sylva Future Forest. 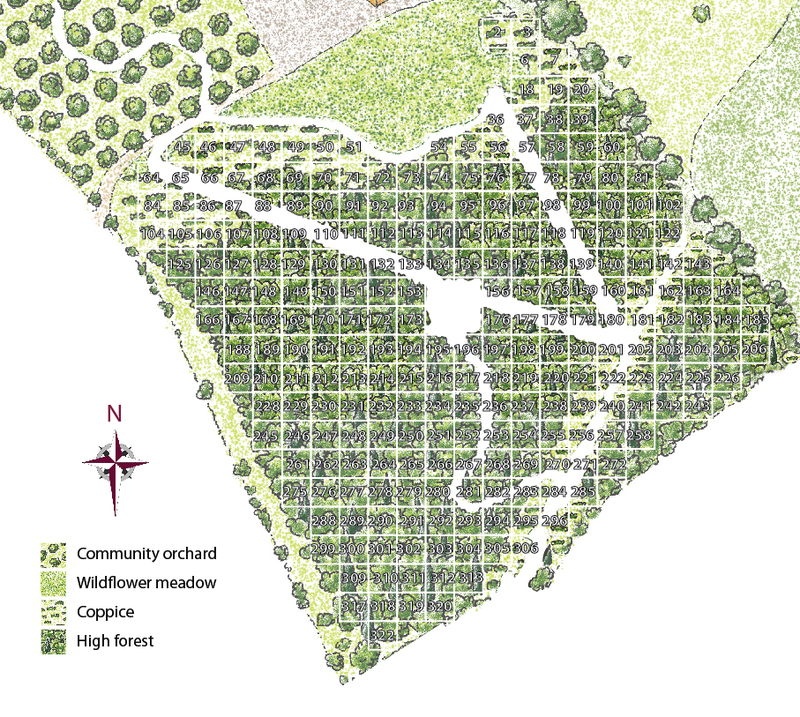 Your support will help us plant and maintain one of 325 plots - each measuring 10 x 10m and containing 25 trees. Subject to availability you can choose the plot you prefer. dedicating a plot as a wonderful unique gift for a new baby, a wedding, a special birthday, or in memory of a loved one - £180 one-off payment. Businesses can get involved too: sponsor a plot in the name of your business and get your team outdoors for an inspiring Earth, Wind & Fire session - tending or planting your plot - £750. Planting will be completed in early 2018. A limited number of planted plots are still available to be sponsored. Click here to see the plot map and donor list. What does being a 'Forest Friend' mean? Every Friend will receive an annual photo update, a hand-carved, limited edition 'leaf key' to the Forest*, an invitation to Sylva's annual 'Into The Woods' event each May and be able to visit the forest whenever they wish. If you dedicate a plot you'll also receive an exclusive dedication certificate to give as a gift or to keep.